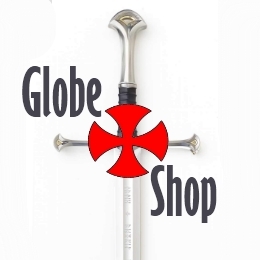 The Templar Globe is the official bulletin / blog of the International Chancellery of the Ordo Supremus Militaris Templi Hierosolymitani Universalis, sometimes referred simply as The Templars. The Templar Globe is the world’s leading Templar News Digest, with over 1.4 million aggregate readers in the last 8 years. The bulletin is edited and published by the Chancellor of the Order, Fr. Luis de Matos. The present OSMTHU claims no direct link or descent from the historical Templar Order, although we can trace our existence as a “templar inspired” Order back to the early XVIII century. We pledge to live according to those ancient codes of honour and chivalry and conduct our actions as members of the Order and individuals within the most strict Christian spiritual tradition in a broad ecumenical sense. At the moment there are many Templar groups in the world and they should be looked at for their “fruits”, not their fantastic claims. Our Order is positioned within the ancient branch animated by Parlaprat in XVIII century France that survived to this day spread around the world organised in smaller branches. The OSMTHU was established by the will of a number of long existing Autonomous Priories that joined in the preparation of free and universal elections among Templar groups and succeeded to elect a new Master and Magisterial Council. 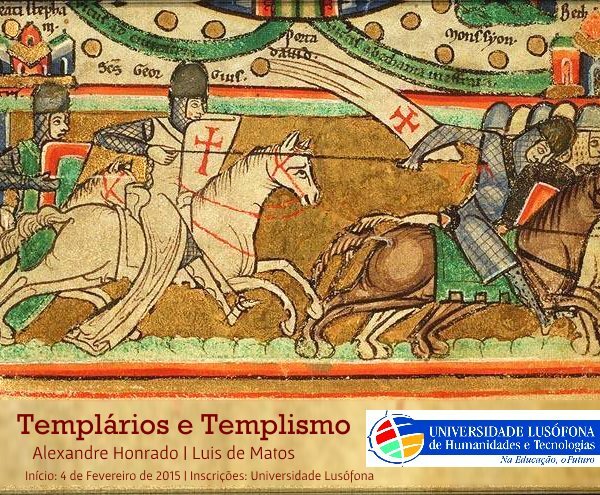 I would like to have the possibility to join the templar or Ordem de Cristo in Portugal. Can you please give me a contact ? extraordinaria pagina ,felicidades hermanos todos,estamos de enhorabuena. This year the weather was so inclement and blustery with strong showers, that celebratory events, which were planned for the evening had to be cancelled. My comment; It’s a good job that St. Paul didn’t cancel his shipwreck in AD. 60!!!!!!!!!! No olvides que es una página abierta a la colaboración de todos los Templários. Si hay algun tema sobre el cual nos deseés escribir, si tienes un articulo o texto que gustarias compartir con el mundo, no hesites en enviarlo. SALUDOS A TODOS LOS HERMANOS TEMPLARIOS. ESTOY TOTALMENTE DE ACUERDO CON EL H. JOSE LUIS. DEBEMOS BUSCAR LA INTEGRACION DE TODAS LAS ORDENES TEMPLARIAS Y FORTALECERNOS ES ESTOS TIEMPOS EN QUE DEBEMOS ESTAR UNIDOS Y NO LUCHAR POR VANAS PRETENCIONES Y PODERES. NO NOS DEJEMOS ARRASTAR POR PERSONAS QUE OSTENTANDO TITULOS NOS QUIEREN OPRIMIR COMO EN TIEMPOS MEDIEVALES. UN ABRAZO FRATERNAL. R. CHATEAU. N.N.D.N.N.S.N.T.D.G. SALUDOS A TODOS LOS HERMANOS-AS. TEMPLARIOS. HOY, “El Periodico de Cataluña”, PUBLICA: “”UN PERGAMINO VATICANO OCULTO 7 SIGLOS, REHABILITA A LOS TEMPLARIOS”” ??? NOS COMENTA EL “”FOLIO DE CHINON””, SU HALLAZGO Y SU CONTENIDO….”EL TIEMPO DA Y QUITA RAZONES”…. CELEBRO EL ACTO DE DE IGLESIA DE NOTRE DAME DE CHINON………..”pero”, LAMENTO LA LEYENDA DEL ORO DE LOS TEMPLARIOS: EN EL MISMO ARTICULO, SE DICE: LA SANTA SEDE, EL VATICANO, HA EDITADO 799 EJEMPLARES, PARA VENDERLOS A 5,900 EUROS, CADA UNO???? COMO PODEIS VER Y COMPRENDER, TODAVIA SIGUE LO DEL “”ORO DE LOS TEMPLARIOS”” QUE CADA CUAL HAGA SU “”MEA CULPA”” Y QUE PIDA PERDON AL ALTISIMO. HOY EN DIA, “LOS TEMPLARIOS ESTAN ENTRE NOSOTROS”, O COMO DECIA SANTA TERESA DE JESUS, “”JESUS, TAMBIEN ANDA ENTRE PUCHEROS””. COMO PODEIS COMPRENDER, LA HISTORIA, NO ES TODO LO ESCRITO….””INTERPRETAD LOS PERGAMINOS, VED EL TRASFONDO!!!””. APROVECHO PARA “LABORAR” POR UN ECUMENISMO….Y UNA UNIDAD UNIVERSAL… LA “RIQUEZA” DEBE DE ESTAR EN NUESTROS CORAZONES… Y EL “PODER”, EN NUESTRA MENTE. nuestras “vanidades”, EN COLABORAR POR UN MUNDO, UNA SOCIEDAD MEJOR . FRATERNALMENTE UNIDOS EN NUESTRO PASADO Y EN NUESTRO FUTURO…..CON MIS MEJORES DESEOS FRATERNALES, UN ABRAZO PARA TODOS, J.L. TRILLO, Comd. “TEMPLARIUM HISPANIAE”-OSMTHU. Domani, 11 novembre 2007, per la prima volta in Italia dopo quasi 700 anni, e a 889 dalla fondazione dell’Ordine Storico, si Riunisce il Capitolo Internazionale d’Investitura dell’Ordine del Tempio di Jerusalem, Presso la Basilica di San Domenico Maggiore in Napoli. Saranno presenti una folta delegazione Spagnola, guidata dal Priore Generale di Spagna S.E. Manuel Quintanilla, composta da magistrati e alti graduati delle forze armate spagnole, la delegazione degli Stati Uniti d’America guidata dalla sr. Janet Wintermute, la rappresentanza Italiana guidata dal Priore Generale fr. Raffaele Pariante, composta dal Consiglio Priorale e dai Cavalieri del Gran Balivato Magna Grecia, guidati dal Balivo Ing. Gennaro Nappo. Il Capitolo sarà preceduto da una Celebrazione Eucaristica, presieduta da fr. Egidio Siviglia (OFM) e concelebrata dai cappellani dell’ordine, in suffragio di tutti i caduti per la Pace. Il servizio musicale sarà curato dalla Corale “Agape Fraterna”, l’assistenza liturgica sarà a Cura del Neo Priore della Basilica fr. Giovanni Busiello O.P.. Non nella Chiesa ma con la Chiesa di Roma, i Cavalieri Capitolari con il Cancelliere del Magistero Mondiale, Maestro ad Interim OSMTHU, Luis de Matos, presente al Capitolo, nel porgere l’ossequio filiare a S.E. il Crescenzio Sepe, Arcivescovo di Napoli, affermano la propria personale dedizione e fedeltà al Santo Padre BENEDETTO XVI, usque ad effusione sanguinis. I Cavalieri Capitolari a termine della cerimonia spezzeranno il pane fraterno presso Palazzo Petrucci. buon anno, sono fr. Vincenzo Tuccillo KCT, luogotente del Balivo Gennaro Nappo. Il Balivo mi ha incaricato di inviarti notizie e foto delle attività OSMTJ-OSMTHU in Italia. Ma non conosco l’indirizzo e-mail al quale inviare, ho inviato deiverse volte unamail ad un tuo indirizzo professionale senza avere risposta. Mi servirebbe sapere la dimensione e la risoluzione delle foto (pixel ?) e la lunghezza massima dei testi . Scusami se scrivo in Italiano, il Balivo Nappo mi ha riferito che non ci sarebbero stati problemi. Colgo l’occasione per formularti gli auguri per il nuovo anno 2008 in attesa di celebrare 890° dell’Ordine il 18 marzo prossimo. me gustaria saber y se posible contactar con FR. pedro aloy felani. 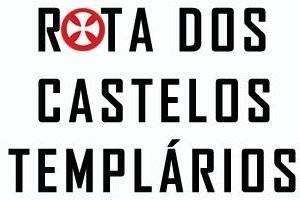 esto pedido no tiene a ver con los templarios pero estoy intentando saber algo más de Padre Pedro Aloy que fue jesuita y estuve en portugal en lo siglo XVIII y escrebió un libro sobre juegos para los niños en portugal que frecuentavan el colegio de campolide. yo se también que elle era de las islas baleares de maiorca o minorca. estaba mucho interesado en hablar con alguién sobre esto y me surprendi cuando he encontrado en este site un nombre mui parecido. Gostava de saber o que preciso fazer para pertencer à OSMTH. Que passos a dar? Aonde me dirigir? Serei contactado? Humildamente aguardo resposta. SALUDOS FRATERNALES A TODOS LOS TEMPLARIOS-AS. F E L I C I T A C I O N E S POR LA PASCUA DE RESURECCION!!!. HEMOS VIVIDO UNA SEMANA SANTA, DE REFLEXION, DE PENITENCIA Y DE GLORIA!!! “”QUE LA LUZ VERDADERA, NOS ILUMINE A TODOS EN NUESTROS ACTOS Y ESPIRITU TEMPLARIO. DESDE BARCELONA, MARZO 2008 , CON MIS MEJORES DESEOS FRATERNALES. Frei, J.L. TRILLO, Comd. “TEMPLARIUM HISPANIAE”–“Non Nobis…”- N.N.D.N.N.S.N.T.D.G. I would like to join the templar order. But doent know how to get in tuch as long as i live in norway. am yet to get a reply,to my membership applicaion,thanks for your anticipated consideration please. I believe to time is at hand my friends, our great materialistic civilization is coming to an and, we need to join together and protect the real mecca, Israel, for if we dont, the world as we know it may be at stake. Prepare yourself Lazarus. Those who are distracted by their vain glory will not know of what we speak. Or if they know they are too attached to what they have, to do the good work. It is harder for a worldly man to obtain access to the kingdom, than for a camel to pass through the eye of a needle. There will be no help from those that are only pretending to be champions. True champions place their duty before their own personal well being. That is what defines selfless conduct. The great task is accomplished. He is amongst us again. You are right, the time is very near. The adversarial corporation wishes that the lies be continued further. But soon a “little book” will reveal the TRUTH, and be bitter to their mouths. Thank you very much for this excellent site. It was very interesting to read all archives. Found a lot of new for myself. Les agradeceré información sobre como pertenecer a la orden. Es uno de mis sueños y metas convertirme en un verdadero templario. I’m a great follower of the tales of the Templars and wish to be enthralled with the missions of the Templars of today’s world. I’m a current government employee, I’m quite sure you can guess. But I would like to learn more before I make any inquisitive decision. templars friendship from the South of FRANCE. I’m creating a knight order and I would like to know if we can become allied. My will is to be in brotherhood with the others Templars. The name of the order is : Celtics Knights of the Military Order of the Temple. (In French it’s O.M.C.C.T. Ordre Militaire des Chevaliers Celtiques du Temple). My ancestors were Templar Knights (I belong to the SINCLAIR clan) and I would like to be in touch with all the Templars to create a huge community around the world. i love the history of the TEMPLARS,im only 15 and i would like being part of the TEMPLARS,WHAT do u know?……. I’m very interested in knowing more about your order and how i could join here in Australia. You could writte to me in English or in Portuguese. kiero recibir y empaparme de su historia.por mail porfa. Yes, there are orders you can join. Defending the poor and the downtrodden is what knighthood is supposed to be about. Just be careful out there! I am currently researching a book and would like to know more about your orgainisation in England. Is there a branch in Kent? and how do I get in touch.